1. Lemons are rich in citric acid, which enters the body and acts like a healthy and natural digestive aid in your stomach. This acid interacts with other acids and enzymes in the stomach and this results in healthy digestion. 2. The high acidic content in lime juice helps reduce the absorption of sugar from the foods you eat. Lime juice also speeds up metabolism, which is great for diabetics. 3. Increases the secretion of stomach juices and bile acids, and stimulates intestinal peristalsis, so it is recommended for constipation. 4. Lime essential oils are used for preparation of balsam and inhalers, which in the short term help to breathe easier, and relieves the respiratory problems caused by respiratory infections. 5. Lime is very rich in potassium and it is effective in eliminating toxins which are gathered in the kidneys and bladder. Toxins increase the likelihood of urinary infections. 6. Lime is rich in vitamin C and is used in case of bleeding gums and sensitive gums. 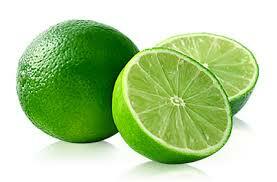 The lime juice relieves itching and rash on the skin caused by infection. 7. Cosmetic preparations made on the basis of this fruit restore the shine of the skin.